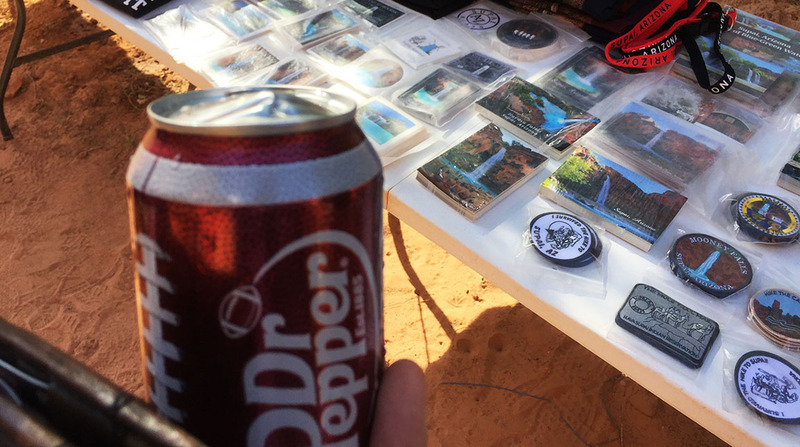 Imagine living in a place so remote that the cold Dr. Pepper you’re about to swig had to come in on a pack mule or be air lifted there by a helicopter. Given the logistic challenges of sustaining a town so remote, I was surprised such a luxury was even available – let alone refrigerated. I even got this one at a discount because the can had been damaged during mule transport. I’m about to introduce you to a community that has thrived in the heart of northern Arizona for hundreds of years. If you’re lucky, you’ll pick up a hint of 3G cell signal there. 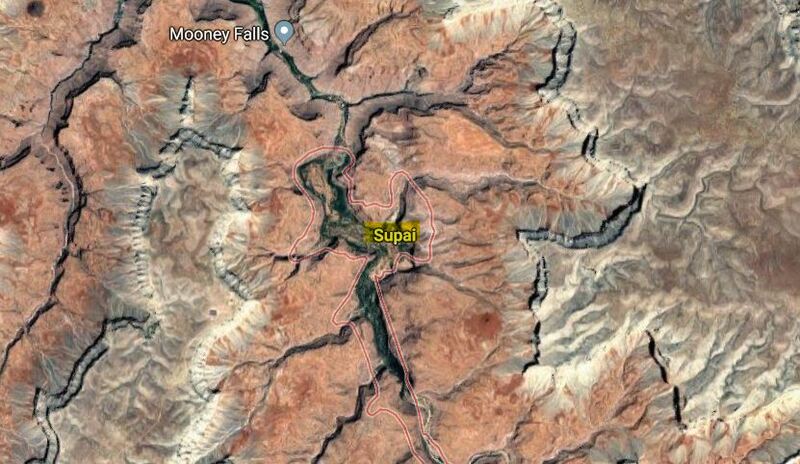 But otherwise, the inhabitants of the village of Supai are about as “low-tech” as you can get in the year 2018. (See location in the middle of this Google Maps screen shot). 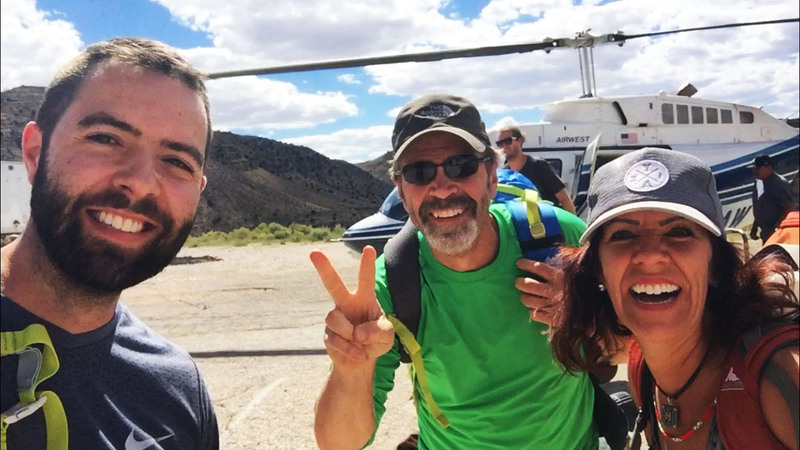 I’ve lived within a few hours of the Grand Canyon my entire life and only been into the (mile-deep) middle of it one time, three years ago when some friends and I did a crazy, 26-mile, “South Rim to North Rim,” hike. 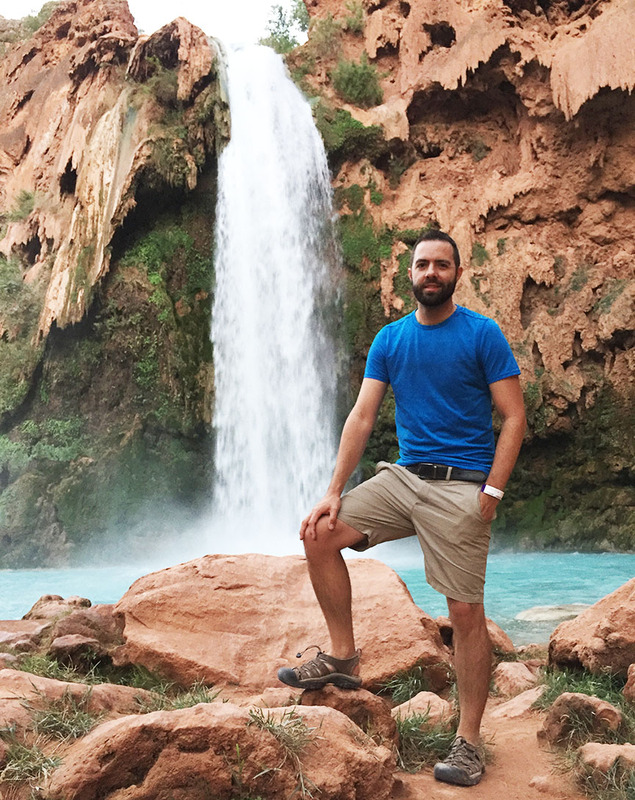 It was time to put the hiking boots back on (or, just my running shoes, in this case) and trek back into one of Arizona’s wonders of the world. 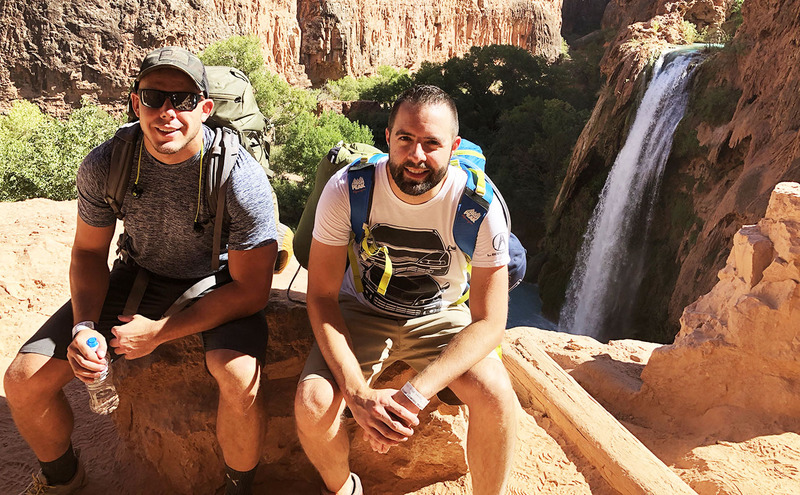 The Havasupai Indian Reservation is surrounded on all sides by the national park, and it’s one of the most difficult to obtain a hiking permit to access. In fact, twice in the past (2008, and then again earlier this year), I’ve had a permit that has been cancelled or re-scheduled due to flooding in the canyon. This time, we crossed fingers that our trip would proceed as planned, and it did – for the most part. 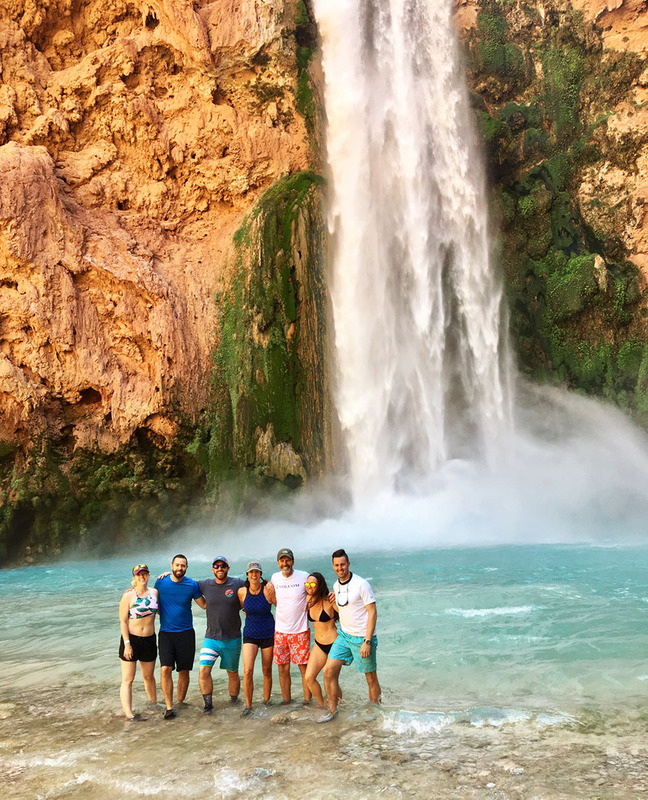 Havasupai is a word that means ‘havasu’ (blue-green waters) and ‘pai’ (people). So the 639 people who live within the 300-square-mile reservation are the people of the blue-green waters. They are governed by a constitution that was signed in 1939 and led by a seven-member tribal council. 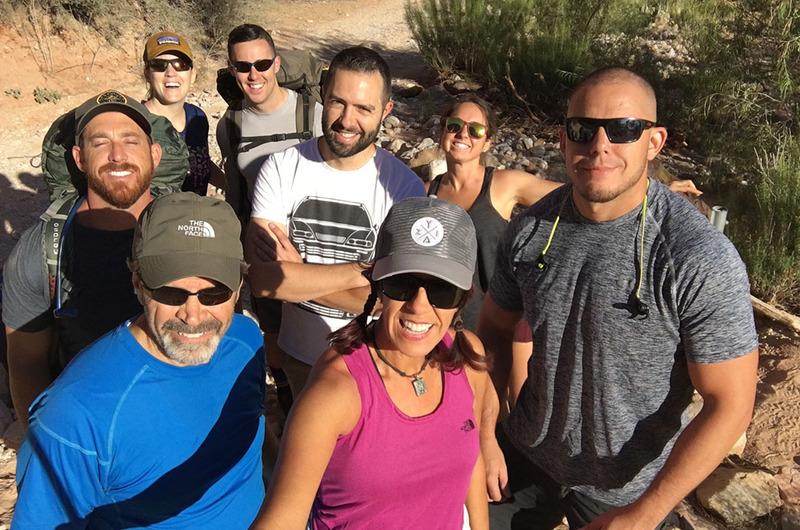 Our party of nine met up at the crack of dawn – actually, a little before it – on Friday morning, September 21. 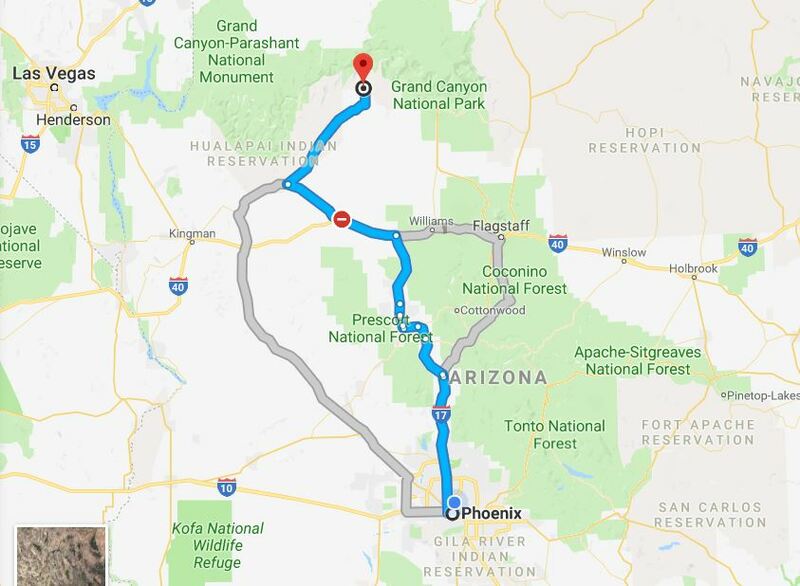 Getting there was a straightforward trek up Highway 89 from Phoenix, through the Route 66 towns of Seligman and Peach Springs, and then about 68 miles on a paved two-laner to the trailhead parking lot. 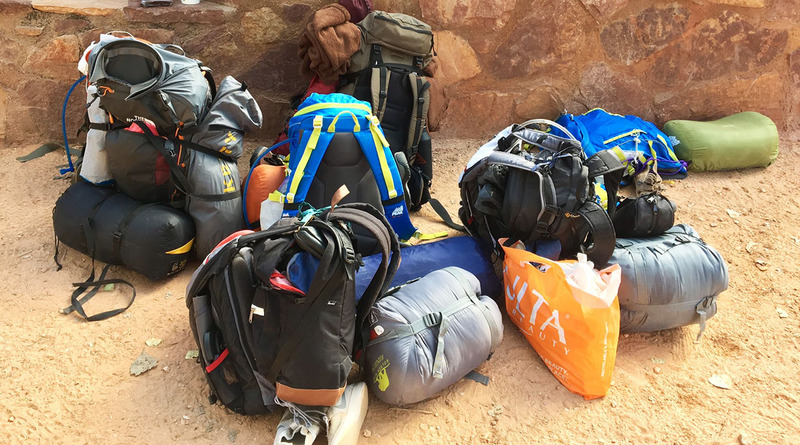 Getting all my gear into a backpack was no small challenge, and I had to carefully prioritize which items were critical for the trek. 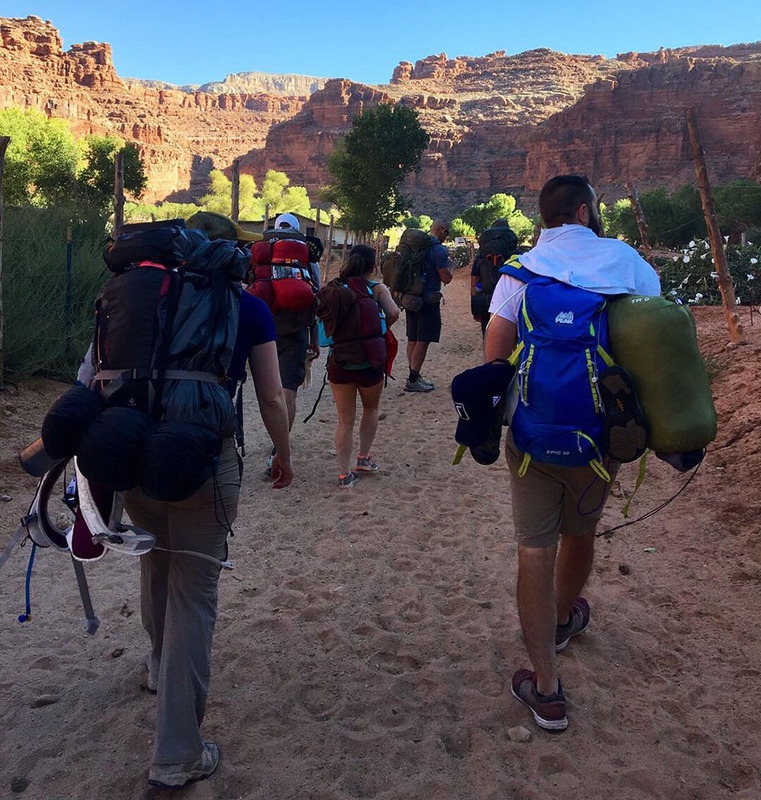 The 8-mile initial drop into the town of Supai was easy thanks to cool morning temperatures, well-traveled pathways, and primarily downhill grade. Amenities there were impressive: A cafe, general store, schoolhouse, and churches were all all present – staffed by natives and welcoming to the estimated 200 tourists who are camping in the area on any given day. We found the perfect campsite for our party. 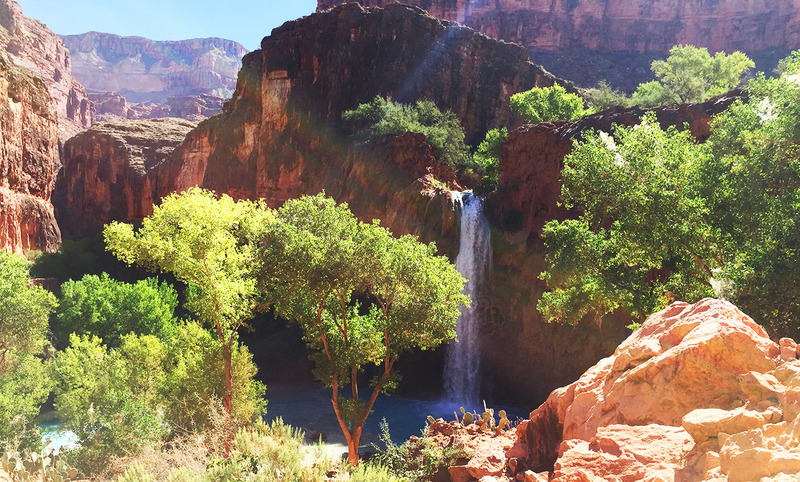 It was two more miles down the dirt pathway and located right on the verge of Mooney Falls, which sent crystal blue waters cascading about 200 feet to the canyon below. Kyle set up a hammock along the river and that ended up being my favorite place to (literally) hang out. Best of all, we were disconnected entirely at that point from contact with the outside world. 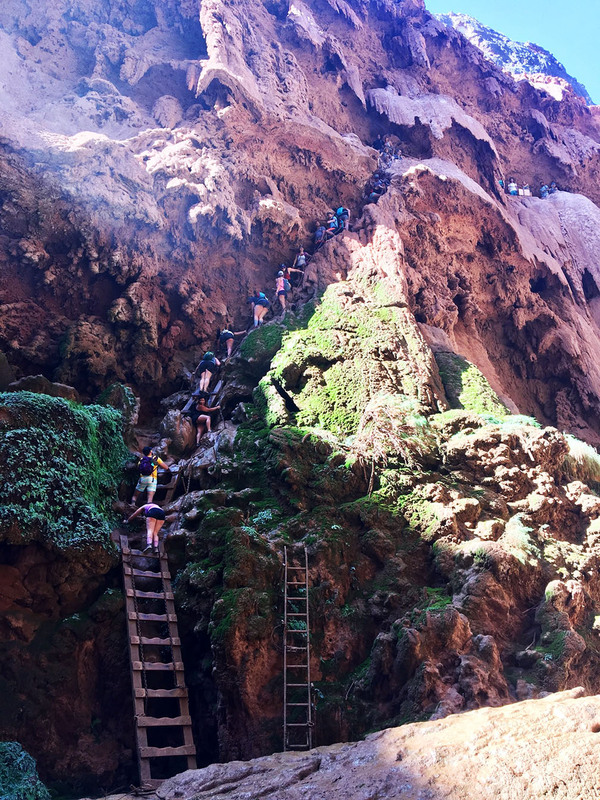 On Saturday, we scaled the cliffside with assistance of chains & ladders to the pools below Mooney Falls. It was an unforgettable experience in conquering a fear of heights. The most unnerving thing about making the descent was the fact that over time, the rocks & ladders had worn smooth so grip was limited. Besides that, the waterfall’s mist kept all footholds nice and slippery with water. Yikes. 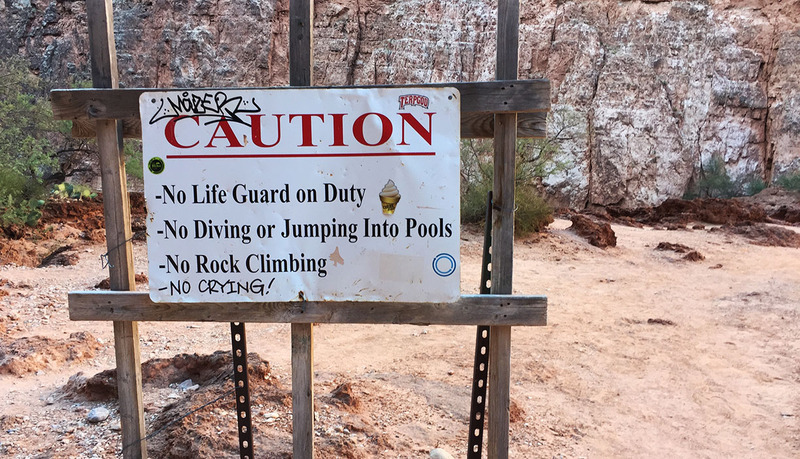 We enjoyed the sights & sounds of Mooney Falls for a couple of hours before making our ascent to camp again. 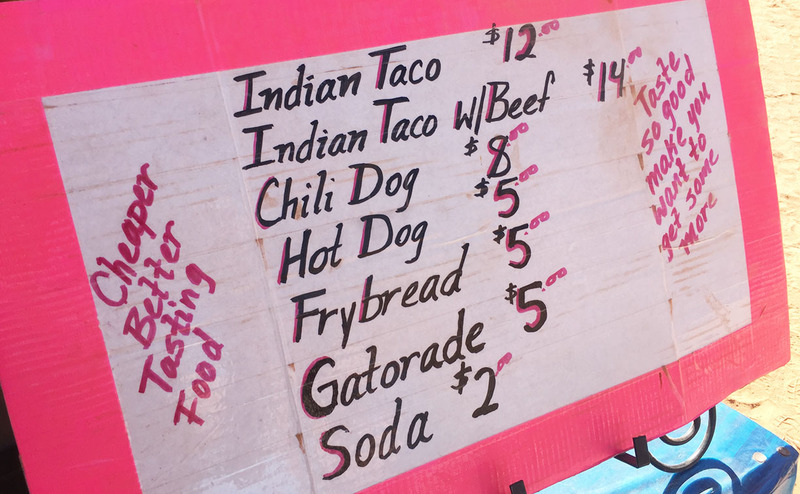 That afternoon’s highlight was getting a taste of some of the natives’ frybread. A $12 taco with beans, cheese, and tomatoes was the ultimate afternoon snack and worth every penny to someone who was sick of eating dehydrated meals from tinfoil bags. Jack opted for the ‘dessert’ version, drizzled in Nutella and caramel. In fact, he had two, and made me promise not to tell anyone. Sorry Jack! 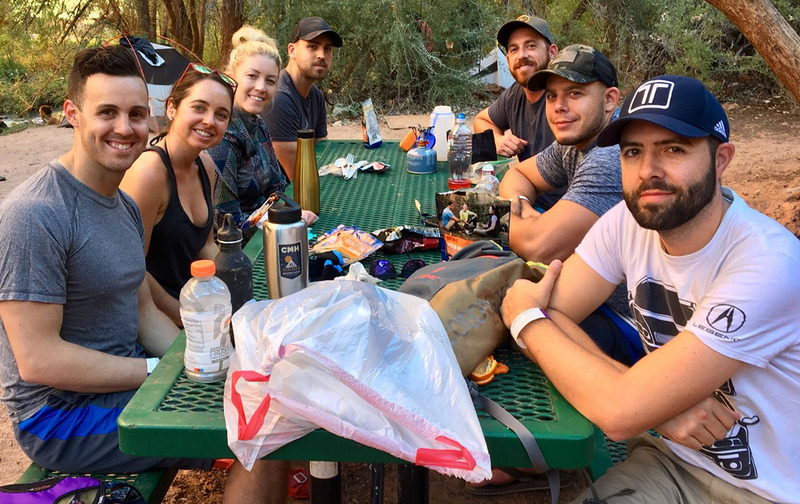 Campfires are explicitly outlawed in the Havasupai region, so we told nighttime stores while huddled around the picnic table before calling it a night. 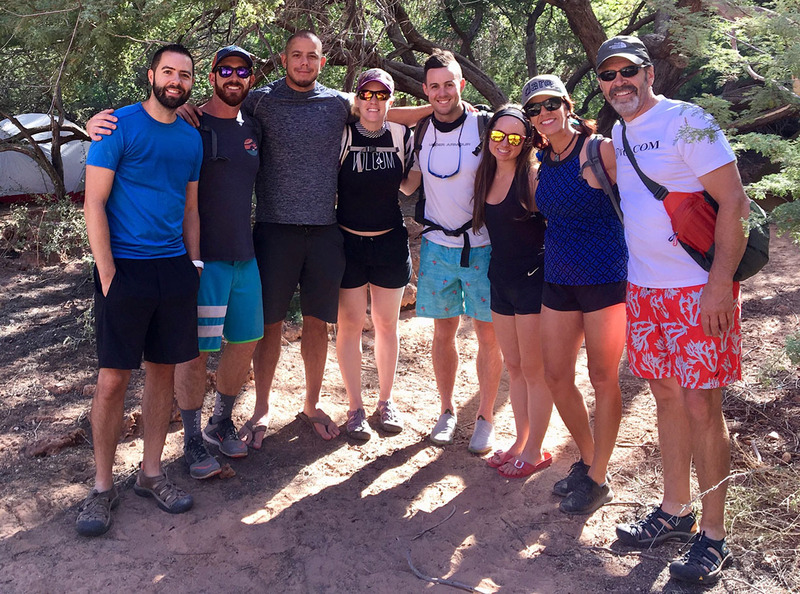 Already a little sore from two days of trudging around in the sand & water, I wasn’t feeling too keen on a roughly 10-mile (uphill) return hike to the parking lot on Sunday morning, so 3 from our party elected to take a helicopter from Supai instead. 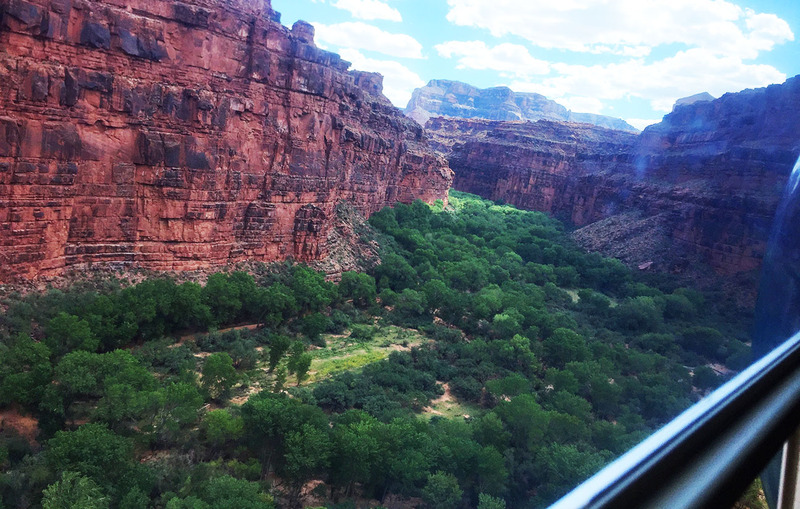 It was my first time riding in a helicopter, and I was glad that I did. The one-way fare for a 7-minute flight was $85 and because of limited seating (only room for 6) and a high volume of people leaving the canyon that day, it took about 4 hours until we actually got onboard. The views were spectacular. By the time we got back to our vehicles, the members of our group who’d opted to hike out had already beat us there and left the area. 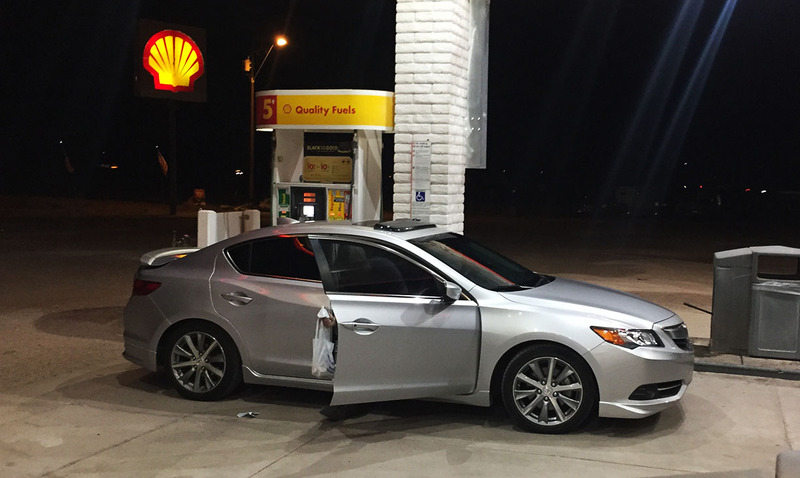 I played catch-up in my ILX and reunited with Kyle, Jack, and Justin at Roadkill Cafe in Seligman before continuing the rest of the way into Phoenix. The next time I crack open a Dr. Pepper, I’ll remember this trip with fond thoughts of sand in my shoes and a babbling brook underneath me in a hammock. Here is a video and a few more photos from our adventure! 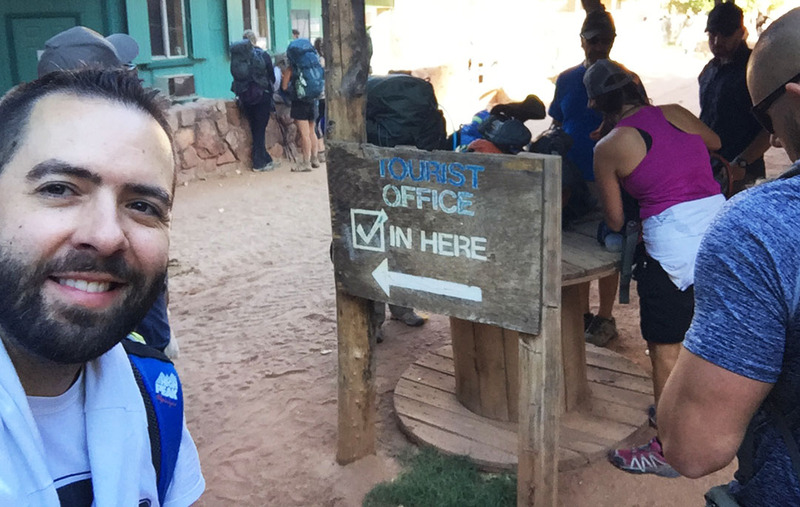 This entry was posted on September 24, 2018 at 7:38 pm and is filed under Arizona, Hikes, National Parks. You can follow any responses to this entry through the RSS 2.0 feed. You can leave a response, or trackback from your own site. You are speedy with your Hava draft! I, too, plan to blog about it but am still debating which photos to include and how much detail to go with. 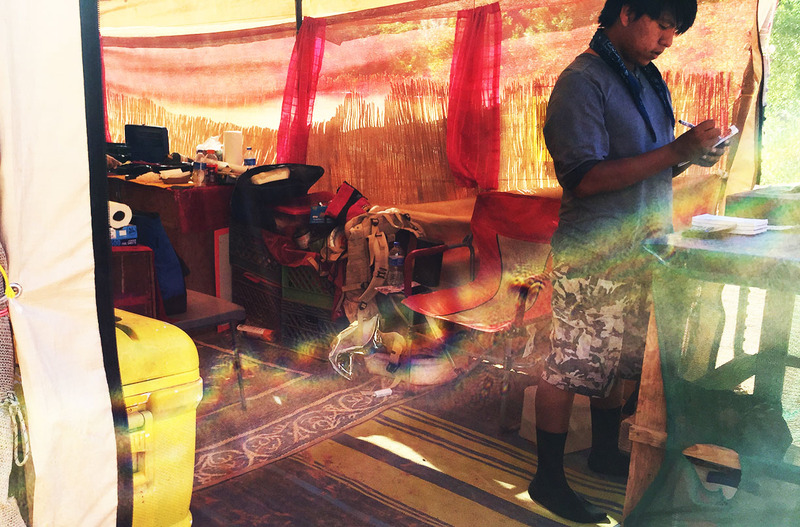 I am still not fully back home; a piece of my heart still lies by that campsite and the other places we ventured. Another major memory in the books! What’s next? Put that in your book! I’ll call it training for St. G Marathon. By the way, my red shoes cleaned up perfectly. I hope your Achilles are healed up. Wear good socks! Oh, and it’s time to start your training taper! Looks like another fun adventure! Holy smokes. 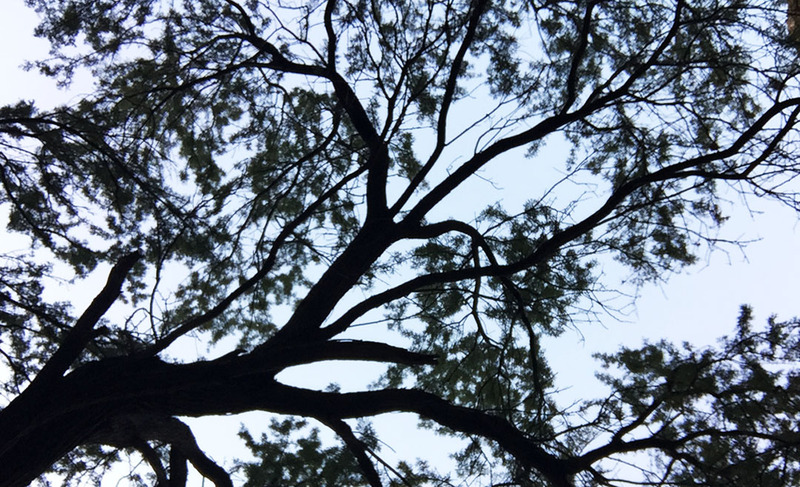 Thank you for doing this hike and blogging about it, because now I feel like I’ve experienced enough of it that I can be satisfied doing a much, much shorter one there next week. Haha. It looks like this one was worth the effort though. Hats off to you and your group! Thanks Brad! 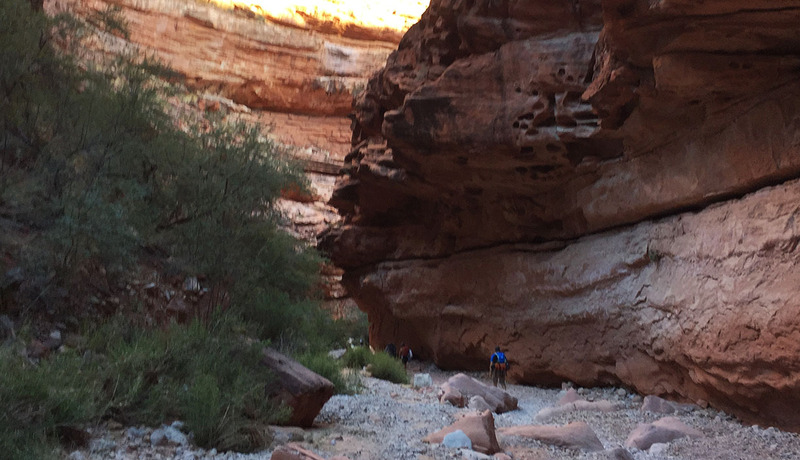 The canyon has a lot to offer – I think I could probably go up there every weekend for an entire year and still not hit up every trail. I’m sure you guys will find something fun to explore. It just might not involve frybread with Nutella! Very cool post, Tyson! It’s fascinating that in this day of an always-connected world, you can find such a remote and disconnected place. 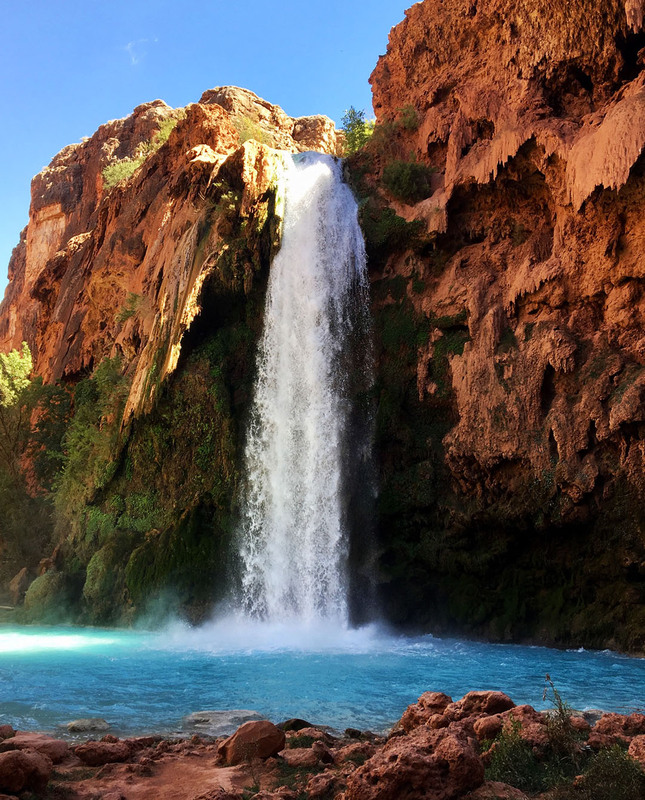 Also, that photograph of Havasu Falls should be printed on canvas and hung in your home somewhere. Great shot! 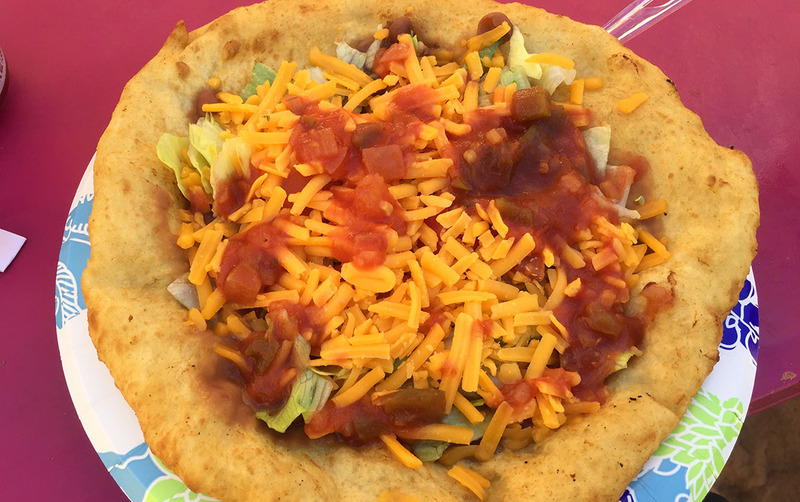 And that fry bread – yum! I just looked at the lunch menu for the cafeteria at work… much less enjoyable than fry bread! It definitely felt a little surreal being down there. I’m glad such pristine and well preserved places still exist – and I’m glad there are still places on this earth that “force” you to disconnect from your electronic devices. It’s healthy! About 15 years ago I tried to recruit my oldest friend into going with me exactly where you were but he refused so I never made it… I must say it’s as beauticul as I imagined it! You bet. Definitely the trip of a lifetime. The seclusion is a big part of the appeal – hopefully that area can continue to be preserved. The tribe seems to be doing a good job of it. And nighttime weather is getting to be great for camping! Now if I could just get the sand out of my sleeping bag. Yes, it operates both directions for the same rate. 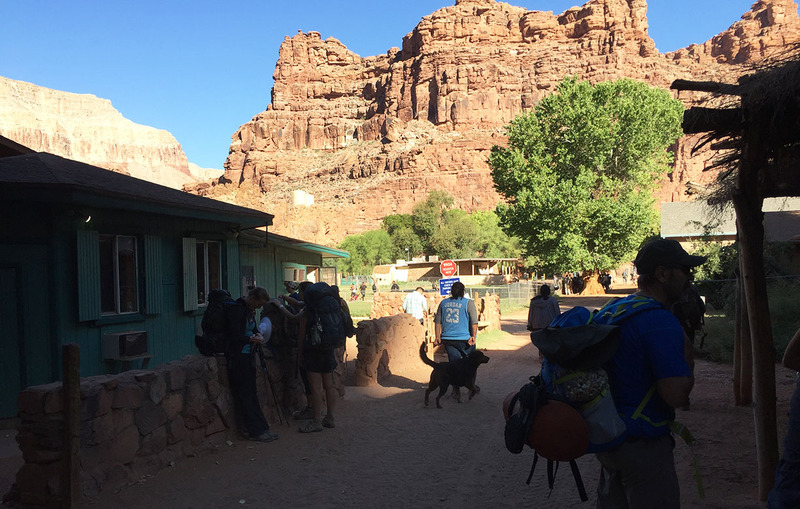 A lot of the 600-someodd locals who live in Supai leave for the weekend that way and spend a couple of days out, then fly back in. I guess they must go to Kingman for their shopping. Big city life.